Choose appropriate footwear – If you are active and participate in sports select footwear designed for that specific type of activity. A toe box appropriate for your foot structure is important preventing ingrown toenails and other injuries. Shoes that you wear every day should have plenty of room around your toes. Shoes that you wear for walking briskly or for running should have plenty of room also, but not be too loose. Check your toes – Ingrown toenails can often be avoided if you take care of your feet. Take a moment to examine your feet and look for signs of ingrown toenails. 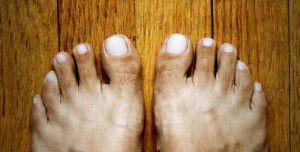 If you notice any red, swollen and painful areas of your toes near your nail you should have it evaluated. Perfect your cuts – When trimming nails be conscious of how short and curved you trim your nails. The more skin exposed the greater the opportunity the nail has to regrow into the skin. Always use a clean, sharp nail trimmer. When trimming your toenails consider briefly soaking your foot in warm water to soften the nail. 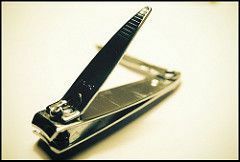 Trim toenails straight across the top, do not taper or round the corners or trim too short. Never pick at or tear your nails. False relief – Topical medications that are available can relieve temporarily relieve the pain associated with an ingrown toenail. However this only masks the pain and the issue will continue to worsen. Avoid bathroom surgery – visit our ingrown toenail home treatments section for more information about these complications.